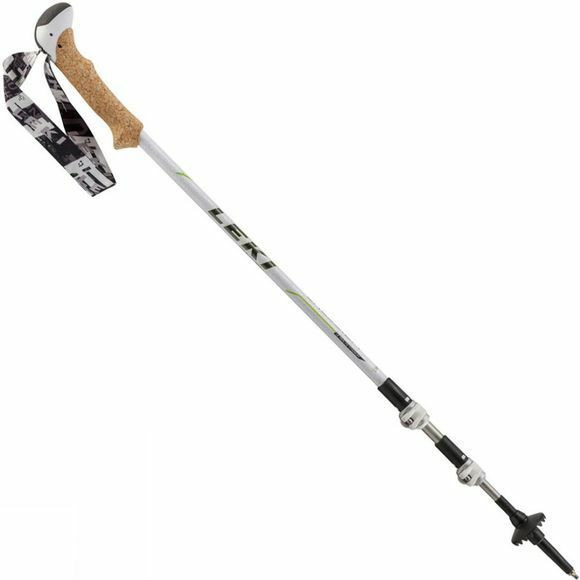 The Cressida Trekking Pole from Leki is ideal for more petite frames. The Aergon Thermo Compact grip is comfortable for smaller hands while the Skin Strap at the wrist is lightweight and breathable to ensure complete comfort when in the outdoors. The Aluminium of the pole is strong, durable and robust and it can be adjusted easily and quickly with the Speed Lock 2 clips allowing you to get the right height in no time.